Our HD TV Props with side speakers are perfect for entertainment areas. 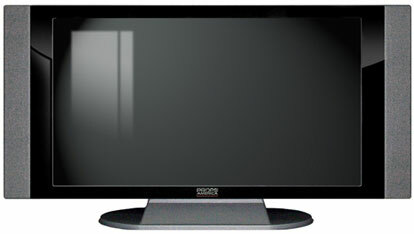 Use our flat screen PropTVs in media rooms, family rooms, home offices and more. The bigger the better in this style. Add your favorite sports or movie scene to make your TV complete. All 37 inch television props can be wall mounted or used with the base. Outer Dimensions (wall mount with NO base): 40 7/8" X 20 7/8" X 1 1/2"
Outer Dimensions (table mount with base): 40 7/8" X 23 3/8" X 6 3/4"